This afternoon at MIPIM, Managing Director of Manchester Science Partnerships (MSP), Tom Renn, spoke about the future of Alderley Park, its world-class science and office space, and its outstanding housing and amenities. Alderley Park has a history of innovation and firsts, with a total of 20 drugs being discovered at the Mereside campus. 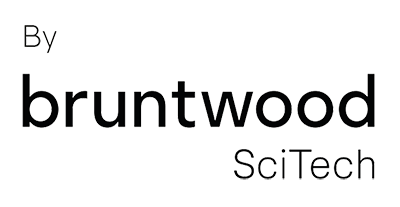 Bruntwood and MSP are continuing this innovation through their commitment to Alderley Park as an internationally significant bioscience campus, driving the life science economy within the Northern Powerhouse and the UK. Bruntwood purchased Alderley Park in 2014, with a 10 year masterplan to invest £160m in developing the site. As the UK’s largest single site bioscience campus, Alderley Park is home to around 200 life science companies as well as national centres of excellence such as the AMR Centre, responsible for tackling the UK’s efforts to combat the global crisis around antibiotic resistance, and the Medicines Discovery Catapult which has been formed to accelerate commercial drug development in the UK, working with industry and Cancer Research UK. Alderley Park is an ideal base for businesses to grow, with some of the best invested research and development equipment and facilities in the UK, on-site incubation services providing bespoke business support to enable companies to start-up and scale up, and two on site funds: the £42m GMCE fund and the £5m Alderley Park Ventures fund. The Park also offers a comprehensive range of highly specialised scientific services, from NMR facilities to imaging, oncology and an open access lab. But Bruntwood and MSP’s vision to create a Park where businesses thrive and grow doesn’t stop with science, bringing 150,000 sq ft of commercial workspace to the market in January 2019. The space will be designed for innovative, forward-thinking businesses, particularly those in tech. With life sciences and tech increasingly overlapping and working together, this space will be where ideas come naturally and customers grow. No. 15 will bring together a vibrant, thriving community of like-minded businesses to make new connections and partnerships. This collaboration is integral to the success of our customers, bringing ideas and minds together. They will also benefit from the Park’s unique amenity and wellbeing offering, helping businesses to attract and retain the best talent. Over 40% of the UK workforce experience work related stress more than half of the time, but a connection to nature can help to significantly increase people’s health and happiness. As a home to 400 acres of parkland, including cycling, running and walking routes, Alderley Park offers a perfect natural environment for body and mind. For those who might be less fond of the great outdoors the Park also offers a gym with fitness studio. This amenity comes alongside the plans for a new restaurant and retail outlets, as well as 275 new homes. PH Homes and PJ Livesey are the first developers at the site, building a range of family homes. This wealth of living and leisure facilities coming together creates a dynamic and enjoyable environment for all members of the community. Alderley Park is an ‘outstanding’ place like no other, where world leading science, innovation and stylish living come together. Find out more about what Bruntwood are discussing at this year's MIPIM, here. Visit our events page to find out about events at Alderley Park.